A doctor was in his consultation room writing up his notes when a patient came in armed with a crossbow and fired a bolt into his stomach, a court heard today. 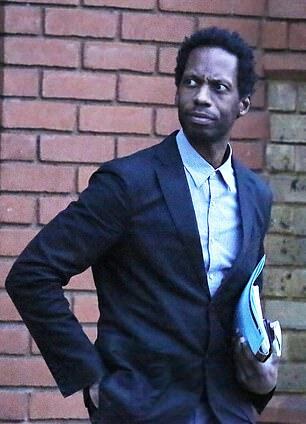 The GP the pulled the bolt from his abdomen and inspected the wound while sitting in his surgery chair, St Albans Crown Court heard. 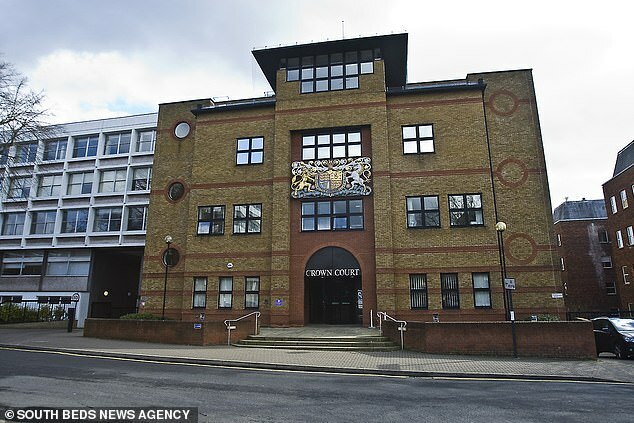 Waterfall, 46, of South Oxhey, Hertfordshire, is on trial after pleading not guilty to a charge of attempted murder. The doctor had arranged for him to attend Watford General Hospital, where he had died the following day. 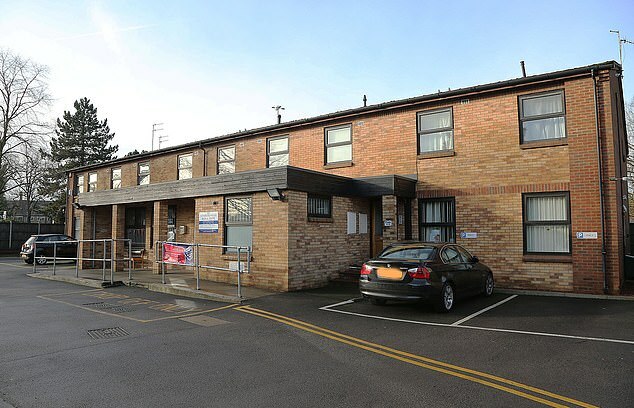 Prosecutor Martin Mulgrew told the court that Waterfall drove to Dr Griffith’s Suthergrey House Medical Centre in Watford on July 10 last year. The doctor told the jury he had been seeing patients since 7.20am but that, at 11am, Waterfall burst in. ‘He stepped into the room and was pointing something at me,’ said the doctor. He said he couldn’t tell immediately what it was because it was wrapped in two plastic carrier bags, but when Waterfall pulled away the bags he realised it was a loaded crossbow. Dr Griffith said: ‘He had been my patient for 10 years years. I recognised him immediately. He just seemed furious,’ he said. The doctor said from a distance of about five feet, Waterfall fired the bolt at him which entered the left side of his abdomen while he was still sitting in his swivel chair. He believes he was saved because the bolt’s impact was softened by the folds of his shirt, which he had loosened due to the hot weather. The court was told after firing the bolt and realising he hadn’t killed the doctor, Waterfall dropped the crossbow on the floor and left the consultation room. After the doctor removed the bolt from his own stomach, he followed him outside and tried to stop him from getting into his car by talking to him. ‘I tried to persuade him to go to the police station round the corner. I said I will come with you. I wasn’t sure if he had anything else on him,’ he said. The doctor then went back inside the surgery and called the police. A colleague dress his wound. The prosecutor told the jury that Waterfall had “developed a festering hatred” and ‘irrational’ anger towards the doctor, based on what he perceived as the mistreatment of his father and himself. Waterfall has a history of mental health problems, an eating disorder and depression, the court heard. A USB stick that was strapped to his toe on his arrest was also found to contain information files in which he expressed his anger, the court heard. The prosecutor said an expert who examined the crossbow tested it and found it could send a bolt through the air at a speed of 187 feet per second and was capable of causing a fatal injury. Waterfall has admitted a charge of wounding Dr Griffith with intent but denies attempted murder. The trial continues.